In recent months there has been an outcry from responsible individuals and institutions due to the alarming use of our e-Vapor products by teens. We would like to take this opportunity to apologize to all as it was not our intention to have teens illicitly use our products, but rather adults. We, the industry, brought the initial litigation in 2009 to regulate our products as a tobacco product rather than a drug-device as the FDA preferred to assure minors would not have access. Given this, it seems reasonable then that the responsibility to assure that minors do not purchase these federally regulated adult products indeed falls on e-Vapor firms and not that of state, local and federal tobacco control agencies tasked to assure minors do not purchase federally regulated tobacco products. We would like to also apologize to those pharmaceutical companies that produce, distribute and market to teens the drugs Adderall/Ritalin for our e-Vapor products being invasive to their collective market share. It was not our intent to have teens get their hands on our addictive nicotine stimulants (clinicaltrials.gov-nicotine is a stimulant, which may have properties similar to stimulant medications Ritalin used to treat ADHD.) and invade the space of those non-addictive prescription drugs. (from addictioncenter.com-Adderall is an addictive prescription stimulant with effects similar to cocaine). Unfortunately, when teens use nicotine the effects are an increased heart rate, blood pressure and increased alertness unlike Adderall/Ritalin whose effects are an increased heart rate, blood pressure and increased alertness. Unlike nicotine, Adderall is a safe drug that is easily weened off when its use is no longer needed. As attested by a 23-year-old Adderall user “Uninsured, I chose to pay hundreds for a refill (his Adderall prescription) instead of buying groceries. I’d consume far more than my allocated dose, then spend sleepless nights tossing and turning, my mind racing and heart pounding, only to wake up and take another pill with a coffee to compensate.” Unfortunately, nicotine e-Vapor products are readily available and comparatively inexpensive leading to an ease of use and affordability. In conclusion, we the e-Vapor industry, apologize for creating an adult product now that 9,000,000 Americans are successfully using daily to stop smoking and fully support parents, psychologists, and pharmaceutical companies to continue to introduce minors to a new life using prescription drugs daily. 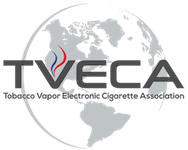 LeCig Electronic Cigarettes is a proud member of TVECA, a nonprofit organization dedicated to create a sensible and responsible electronic cigarette market by providing the media, legislative bodies and consumers with education, communication and research.